One thing that the scientists, environmentalists and industry definitely have in common is the fact that whatever we do, we have to address the issue of climate change. We also know that abandoned and disturbed peatlands are a huge source of greenhouse gas emissions and at the same time, at least in Europe, there is no question of peat extraction expanding to pristine peatlands anymore. Now the discussion starts, or goes, two ways when asked whether to rewet / rehabilitate / restore or use those areas? The realistic view is that with the currently available financial means for restoration, it would take an unreasonable amount of time to restore all disturbed peatlands. Moreover, one cannot leave aside the question of planning and land ownership as one of the starting points for the debate on land use in general. The problem, however, is more rhetorical than practical. This is something many have underlined and understood. Therefore, it is time for a change of paradigm. We have to be able to leave behind this outdated confrontation between environmentalists, industry and other land users (owners), in order to move forward and together solve the problem of drained peatlands environmentally, economically as well as socially in the best way possible. The environmental programmes of all sorts have done a very good job in introducing the “pristine beauty” of nature. What we want to add is a broader and general understanding of its functions. The wider public surely knows that peatlands are a home to unique flora and fauna but not much has yet reached popular science of peatlands as carbon sinks. For this reason, we have planned public lectures, a movie programme and photo contest that would explain the functioning and all ecosystem services of peatlands through the eyes of a layman. In addition to traditional congress program, we have planned an extra agenda for the industry. One of the main goals of the congress in Estonia is to show as many practical examples as possible where the cooperation of all interest groups has led to very successful outcomes in the field of restoration, protection, judiciary etc. All what could be summarised as responsible peatland management. Much is done but even more remains to be done. Welcome to the 16th International Peatland Congress 2020! 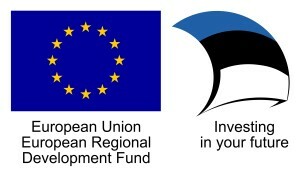 European Regional Development Fund supports the project with 30 000 EUR with the aim of promoting Estonia as a conference destination. Visit Estonia !